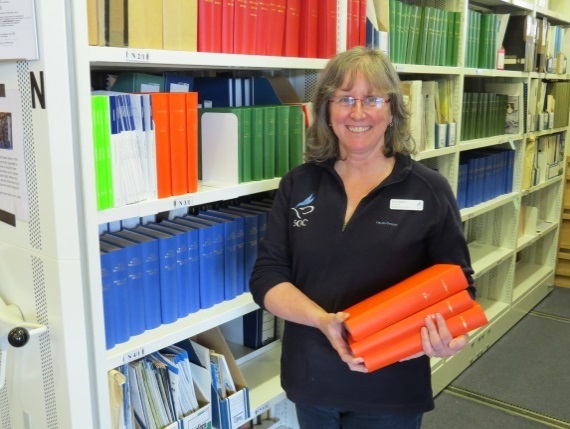 Karen Bidgood is Librarian at the Scottish Ornithologists Club’s George Waterston Library. Karen has kindly taken the time to write a post about her library for ELISA. It sounds like a lovely place and I look forward to visiting! The library is now in its tenth year at Waterston House. George Waterston, co-founder of the SOC, was instrumental in forming the collection by begging books from various sources. Many books in the Club’s collection were formally part of his and his wife’s library, alongside donations made by others in the early 1930’s. With an outlook over Aberlady bay, the library offers a calm and tranquil environment to sit and read. It is open to all-researchers, birdwatchers of all levels, artists and historians, seven days a week during HQ’s normal opening hours. There is also an area specifically tailored to young visitors with comfy seating, activity sheets and children’s books on offer. As the largest ornithology library in Scotland and one of the top collections of its kind in Britain, the facility contains over 5,000 books, around 130 different journals and houses a unique and distinctive archive. The library aims, as far as possible, to be a complete repository of all material on Scottish ornithology. As such, it has a collection not just of books but of some fascinating diaries, photographs and letters from eminent Scottish ornithologists. This wonderful resource also contains a range of non-Scottish ornithology titles including standard works on avifauna of all parts of the world, handbooks on identification, and works on bird behaviour and methodology. The library has complete runs of the key British journals, all the main international periodicals and all the bird reports from Scotland, neighbouring English counties, Wales and Ireland. The library receives many of the latest natural history books, sent by publishers in exchange for a review in the Club’s journal. See opposite for the latest titles available to borrow. A large number of books are also donated to the library from people who wish to tidy up their book shelves and attics, or collections have been received as part of a legacy. Any duplicates are offered for sale in our second-hand bookshop at Waterston House, to support the continuing charitable work of the Club. SOC members can borrow books! Club members can borrow up to two books at a time for a maximum of two months, subject to availability and borrowing terms and conditions (see http://www.the-soc.org.uk/borrowing-books/). Smaller books can be posted (p&p charges apply) or passed on to members via conferences/meetings/events, so distance from Waterston House should not be a hurdle to borrowing. There is also the facility for Headquarters to scan and email, or photocopy and post pages to you (p&p charges apply), subject to copyright conditions. For more information and to view an up-to-date library catalogue, please visit the Club’s website. Karen is a keen birdwatcher and walker with a particular interest in Iceland where she has spent many holidays with her family. Previously she worked in microbiology and taught Science to younger children.